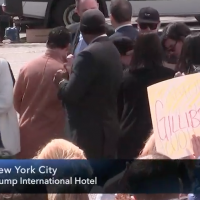 For years, “The PolitiChicks,” led by owners Ann-Marie Murrell and Morgan Brittany and new National Spokesperson Sonya Sasser, have been at the forefront encouraging activism and promoting political involvement on all levels. 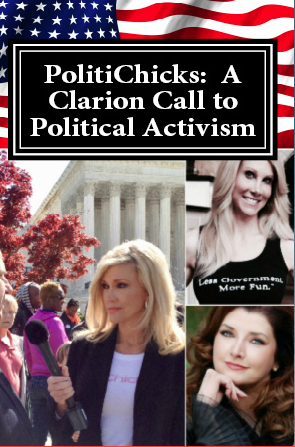 Their new book, “PolitiChicks: A Clarion Call to Activism” is a collection of articles and essays from their contributors across the U.S. and is meant to encourage everyone to get off the sidelines and remind our elected officials who is boss. Buy your copy on Amazon HERE. 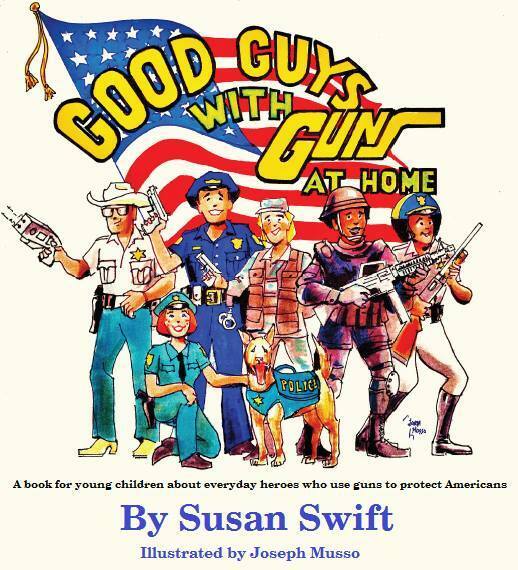 “Good Guys With Guns At Home” by PolitiChicks contributor Susan Swift: Good Guys With Guns At Home is an illustrated children’s book about the everyday American heroes in law enforcement who use guns to protect Americans at home. Illustrated by an award-winning Hollywood artist and Marine Corps veteran, the book’s simple, whimsical drawings introduce children to friendly law enforcement figures and the guns they use to protect and serve Americans in their neighborhoods and in times of special need. Inspired by a desire to teach children about “the good guys” who use guns, Good Guys With Guns At Home is the first in the Good Guys With Guns series. 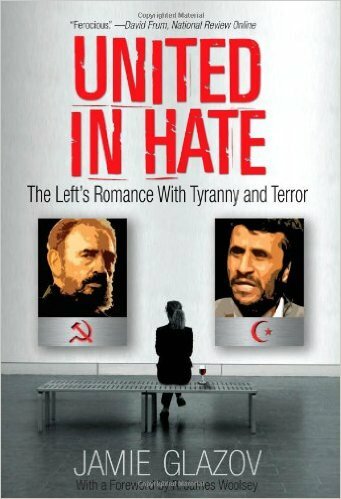 United in Hate: The Left’s Romance with Tyranny and Terror by Dr. Jamie Glazov (as mentioned on multiple media outlets by Ann-Marie Murrell): United in Hate analyzes the Left’s contemporary romance with militant Islam as a continuation of the Left’s love affair with communist totalitarianism in the twentieth century. Just as the Left was drawn to the communist killing machines of Lenin, Stalin, Mao, Pol Pot, and Castro, so too it is now attracted to radical Islam. Both the radical Left and radical Islam possess a profound hatred for Western culture, for a capitalist economic structure that recognizes individual achievement, and for the Judeo-Christian heritage of the United States. 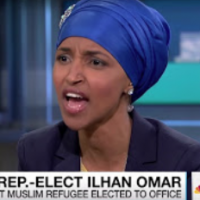 Both seek to establish a new world order: leftists in the form of a classless communist society, and Islamists in the form of a caliphate ruled by sharia law. 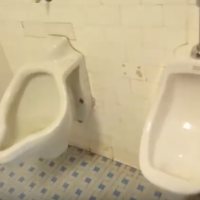 To achieve these goals, both are willing to “wipe the slate clean” by means of limitless carnage, with the ultimate goal of erecting their utopia upon the ruins of the system they have destroyed. “Faith, Family, Film: A Teacher’s Trek” by PolitiChicks contributor, Dr. Fred Eichelman: Discover a hidden, heartwarming side of Hollywood and politics you never knew existed. 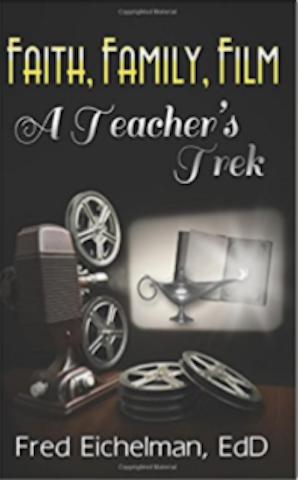 Faith, Family, Film: A Teacher’s Trek describes the worlds of entertainment, literature, and politics as experienced by the author during his lifetime. 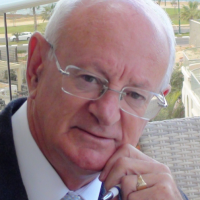 Dr. Eichelman reveals how films and television programs influenced his growing up, his teaching career, and his Christian ministry by reflecting upon the beautiful souls who throughout their storied careers have touched numerous lives, not just his own. His anecdotes feature such personalities as John Wayne, Roy Rogers, Elizabeth Taylor, Jimmy Stewart, Rhonda Fleming, Ronald Reagan, Andy Griffith, several Star Trek cast members, and many more celebrities well into the twenty-first century. The introduction by actress, producer, and motivational speaker Nancy Stafford promises that Dr. Eichelman will take you “where no man has gone before,” a promise that he delivers upon in charming, “come in and set a spell” Southern storyteller fashion. 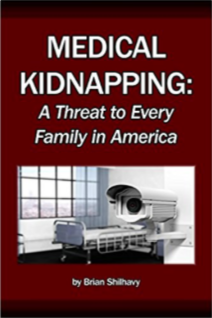 “Medical Kidnapping: A Threat to Every Family in America Today“ featuring PolitiChicks contributor, Terri LaPoint: If you live in the United States of America today, and you have children in your home under the age of 18, every day you are in danger of losing your children to the State through medical kidnapping. Something as simple as bringing your child to the local emergency room to care for an injury or sickness puts you at risk for being accused of medically abusing or neglecting your child, and having a doctor direct a social worker to remove the child or children from your custody by force. 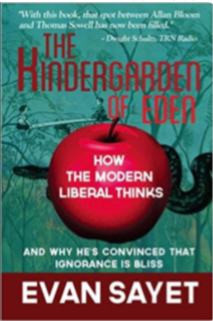 “The Kindergarden of Eden: How the Modern Liberal Thinks” by Evan Sayet: Why the Modern Liberal’s thinking leads him to side with evil over good, wrong over right and the behaviors that lead to failure over those that lead to success. Further extrapolating on the ideas in his wildly popular viral youtube talk to the Heritage Foundation, that has received over 600k hits, Evan Sayet uses his signature wit in this new book to ask thought- provoking questions during these turbulent economic and social times. And he provides the reader with some surprising answers. Andrew Breitbart said that Evan Sayet’s Heritage Foundation Speech was ‘one of the five most important conservative speeches ever given.’ That speech was the foundation for this book. How did the song “Imagine” by John Lennon become the perfect symbol of liberal thinking? Why does Bruce Springsteen dub “pain” as the wages of toil and hard work? 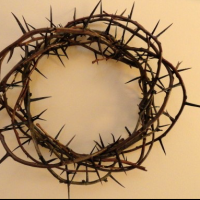 What’s the Democrats’ beef with God? What do they have against the Jews of Israel? Why do they want abortion to be commonplace and frequent? 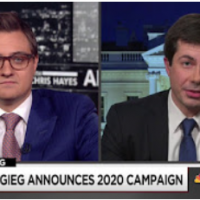 Why does the Modern Liberal –the dominant force in today’s Democratic Party and in so much of today’s popular culture – seem to always side with evil over good, wrong over right and the behaviors that lead to failure over those that lead to success? Evan Sayet answers those questions and a lot more. 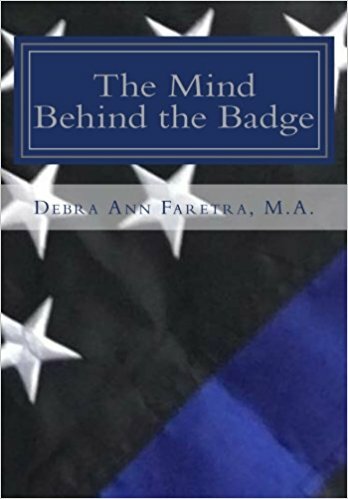 The Mind Behind the Badge: Law Enforcement Mental Health, written by Debra Ann Faretra, is a politically conservative book touching on topics of mental health, wellness, and suicide prevention for law enforcement. It also addresses the liberal politicians and society that have abbandoned the American Police. 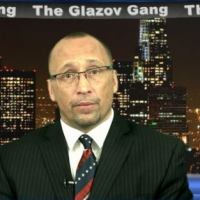 Ramblings of a Right Wing, Bible Thumping, White Guy! by Joe Messina. Whether you’re a conservative parent wanting to instill those values into your children, a Christian wanting to preserve your 1st Amendment rights to worship freely, or a hater of this politically correct, walk-on-eggshells society that we’ve somehow become, this book is for you. 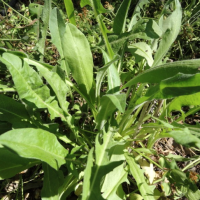 This is what conversation was like when people used to sit on the front porch swing and “visit” for a while. In my big Italian family, that conversation happened around the kitchen table, pointing out the craziness going on around the world and even in our own little town world. It was common sense passed from one generation to the next. 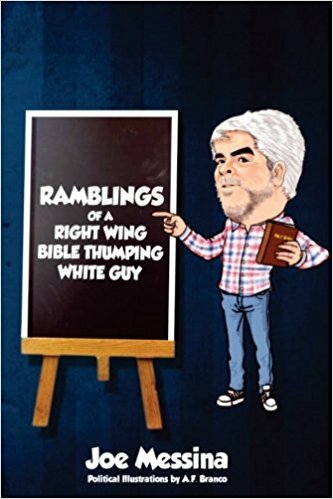 “Ramblings” takes an honest look at the issues of our day and calls them what they are, mixing in a little sarcasm (and sometimes a lot!) along the way. It’s a light, easy read with relevant recent events. If you’re looking for political correctness, don’t bother buying. Joe tackles everything from racism to religion, to media bias, to safe spaces, and, yes, even women’s issues! If you’re not supposed to talk about it in polite circles, you’ll likely find it in this book. Sit back and enjoy the ride!